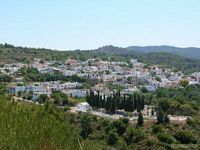 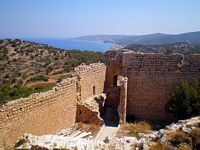 Kritinia is a village built in an amphitheater, which has old houses built on the hillside. 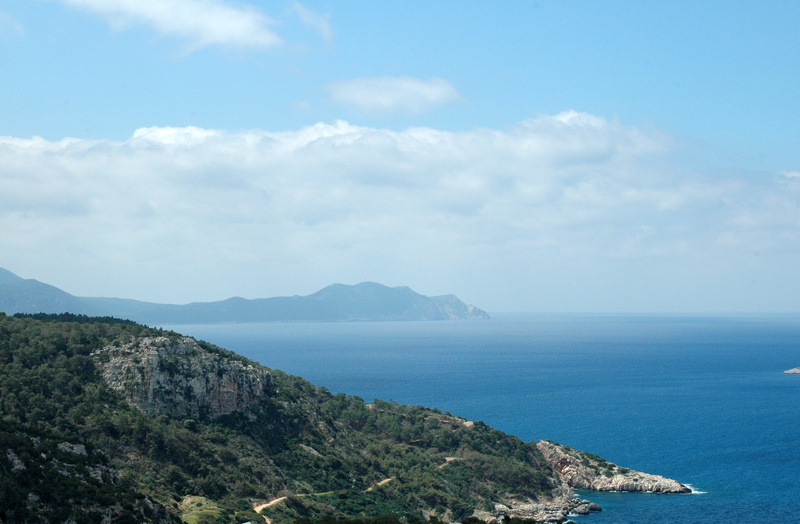 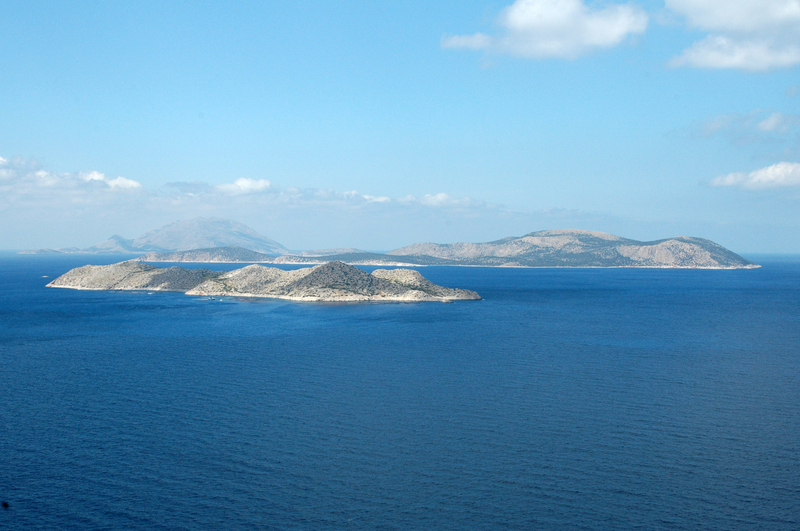 According to a legend, Kritinia, founded by the Cretans, would have been the grand-son of Minos. 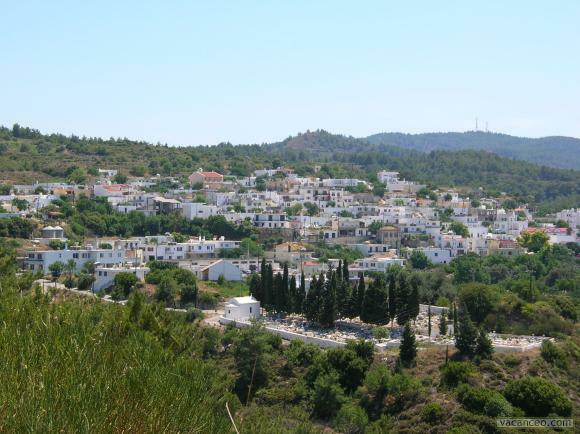 The village of Kritinia (Κρητηνία) is located 55 km from Rhodes by the coastal road to the west , is the first village you encounter after leaving the coastline Kamirou Skala . 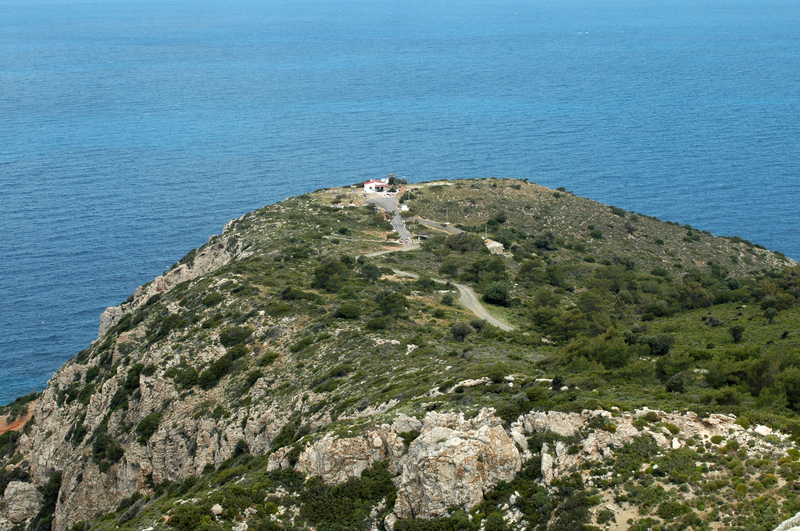 The road east, 144 km from Rhodes . 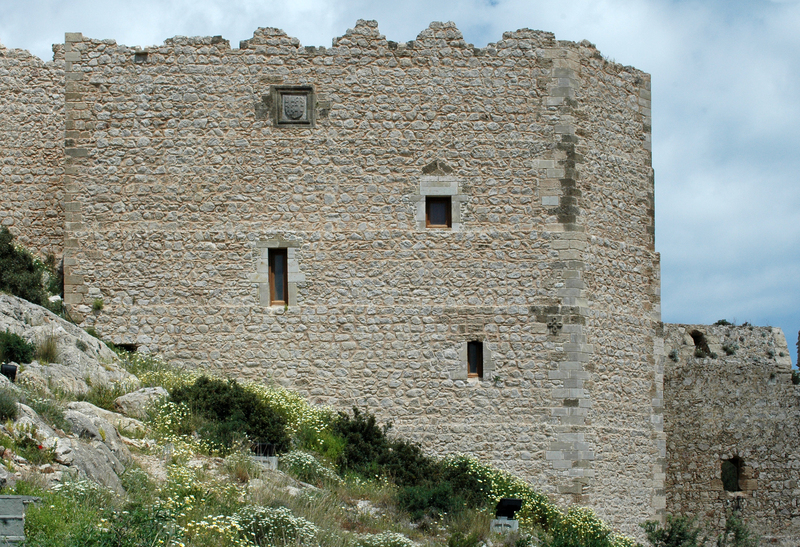 The impressive medieval castle Kritinia (Kástro Kritinia) or Kastellos Castle, overlooking the sea, crowns the summit of Mount Atavyros and offers a splendid view over the vineyards and rocky citrus groves. 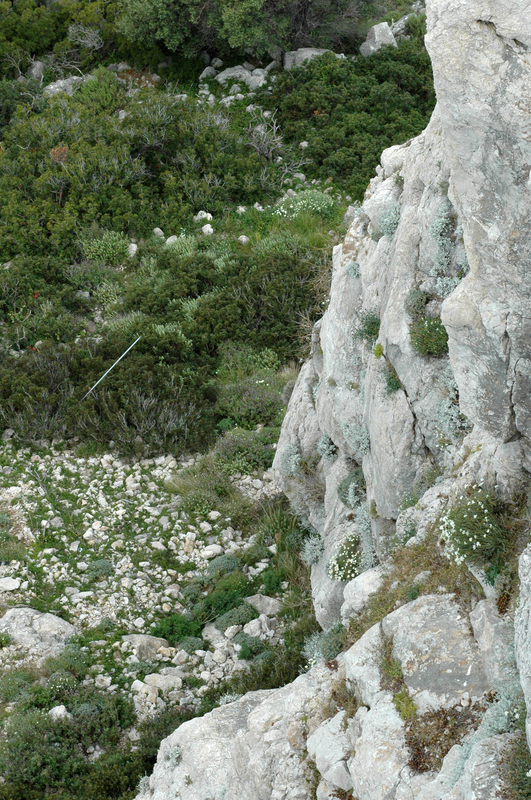 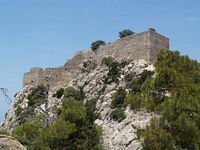 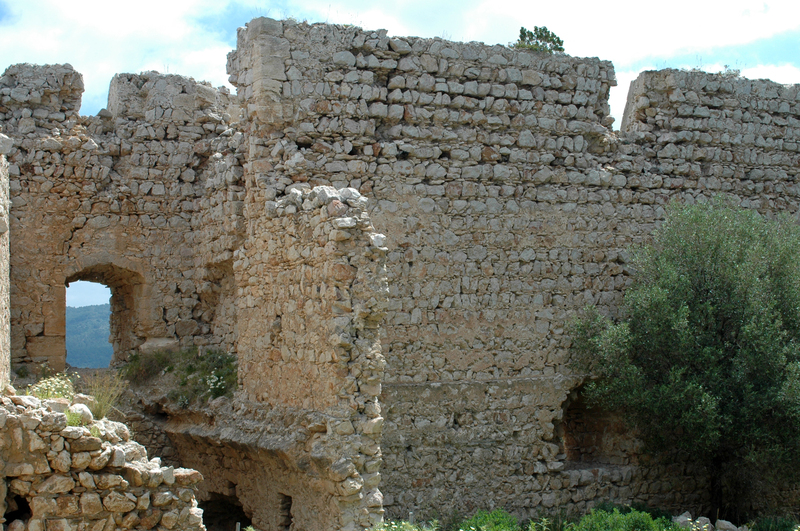 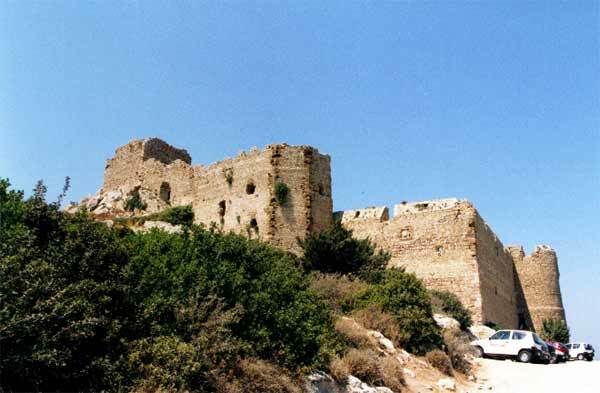 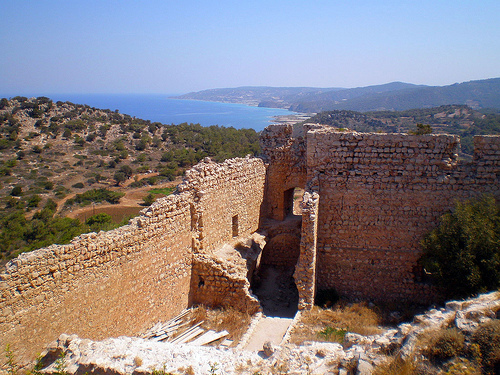 Kritinia Castle is near the middle of the north-west, near the villages of Skala Kamirou and Kritinia. 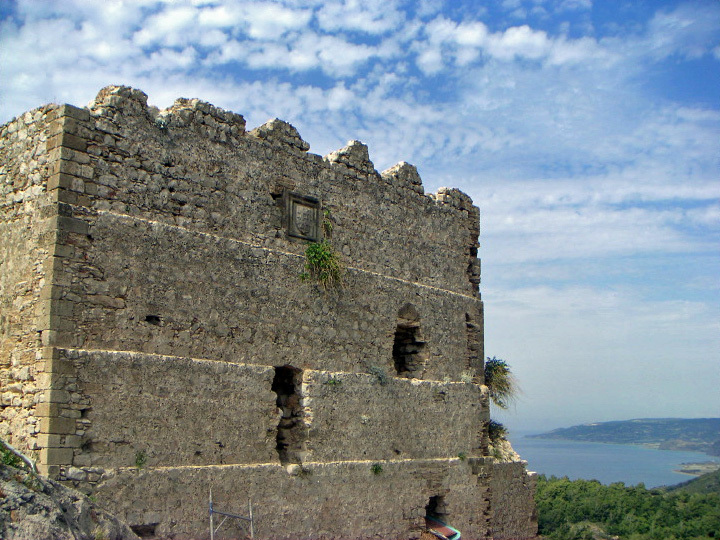 Kastellos Castle dates from the late fifteenth century, when the Knights of St. John still reigned on the island, just before giving way to Turkish Suleiman II the Magnificent . 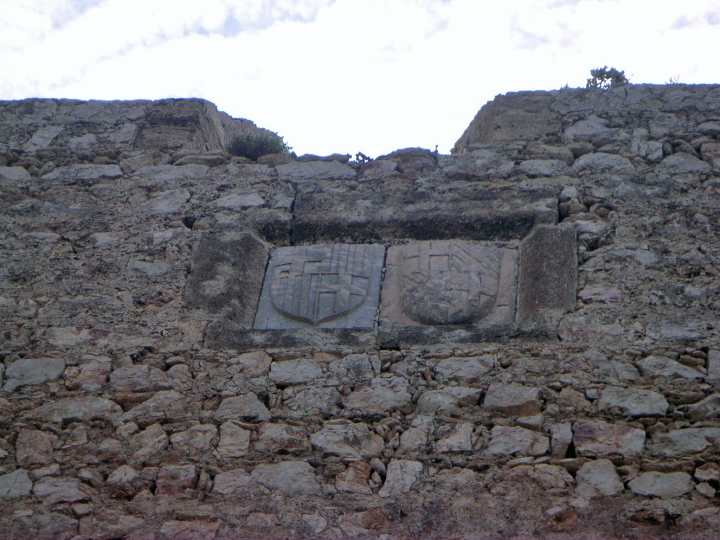 The castle still bears the arms of the Grand Master Emery d’Amboise and Fabrizio del Carretto . 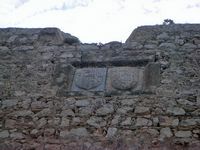 Within its walls, you can still see the ruins of the chapel dedicated to St. Paul (Agios Pavlos). 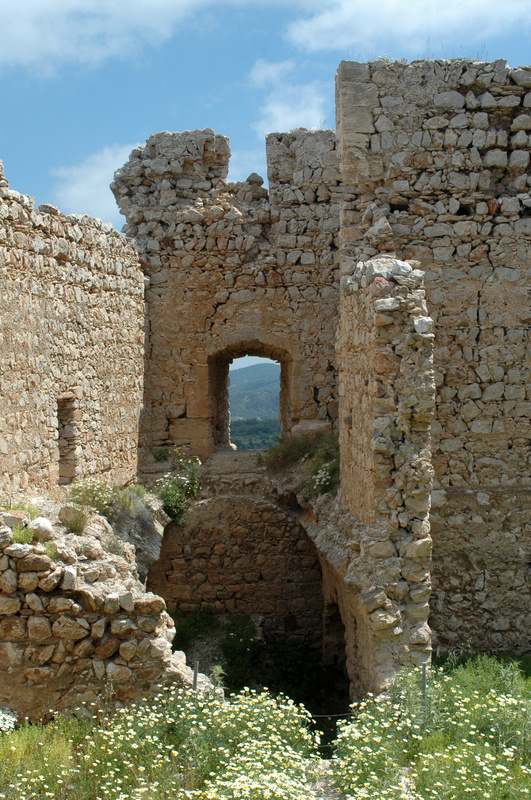 Access to the castle is via a road recently.